Wealth! How much does one want? I keep pondering over this thought. I ponder, and its not a compulsion that everybody should ponder it. Say! If everybody would ponder what would it be like. Here goes what I would like to say. Our Great Prime Minister of India & One of the Greatest Human beings Shri Atal Bihari Vajpayee once told in the Parliament_ “Ek Aadmi Ko Jineke Liye Kitna Chahiye”– it means, ‘for one to live this life, how much does one require’. He was telling it in the parliament of the largest democratic country in the world and that too when he was in the ruling Party. In terms of money; how much shall one require to lead a life in this modern world? I don’t say that one should not have lots of money or property. I am not a socialist or a communist. My thinking does not match to them at all. I do not blame the capitalists either, in a way; they are the one who run this world. Because it is the investor who makes people work and give employment. Unless employing the money to work, the economy will not grow. Earnings from other sources – by illegal means, corrupt practices, dishonest methods, kick backs, swindling government funds, cheating & fraudulent means. Such an earning style may give the person a few hundred rupees to millions of dollars and that too within no time. In today’s world there are so many thousands of options for one to earn; he can earn a good some in comparatively less time, provided he puts his sincere efforts and commitment to what he is doing. He can earn so much, that he can live a comfortable life. But, why in many people, there has come a trend to possess wealth by other methods as mentioned above. The percentage of such people is increasing by the day. It seems Honesty has no place among the people at the helm, if such is the situation, the young would continue to do worst things as they grow older and become responsible citizens. There is a term in English –“Filthy Rich” & “Stinking Rich”- a large per cent of people want to be so, and they have made them the ideal. When such are the ideals; man would find those means. Today in our newspaper an ordinary clerk in a government department has been raided. They have found more than 70 crores of rupees worth gold and cash. There have been continuous raids like this, where we find officials making property in real estates which goes to crores of rupees. 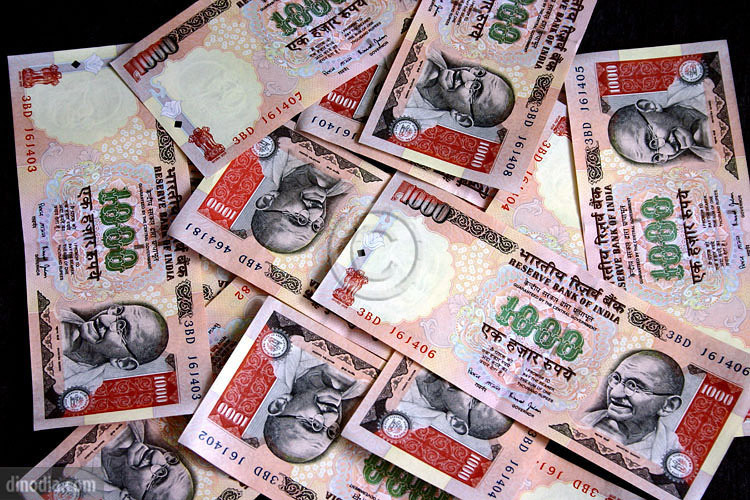 It seems a high profile IAS (Indian Administrative Service) officer had 500 bank accounts. Now, what to say of Politicians, Bureaucrats and some Business people having thousands of crores of rupees or millions of dollars, which shall amount to billions of dollars in total; by which a country can be run and its economy could have bettered. A petty robber- a pick-pocket or a necklace snatcher when caught by the police would be punished and beaten to almost death in the custody. He might even be sentenced to a few months or years in jail. Which is that constitution and law of a country that could give the quantum of punishment; when compared to the petty robber to those who swindle and rob the money of the people. If the money kept idle for long it should stink in real terms; like a man’s body if not taken bath for long it starts smelling and a dead man’s corpse will stink so much that you would not want to keep it for a second. The same thing should have been there for money also, if kept idle for long, it should start stinking. Then Money stashed in Swiss banks and elsewhere; kept idle; if it would really stink, then the bank authorities would ask the account holders to take away the money. It may sound foolish, silly or idiotic and funny, but is it not the money of the people that has been kept there. If that could be a reality the idle money would not find a place anywhere. 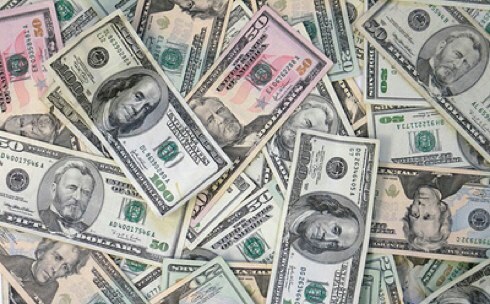 Such money would find its way into the pockets of undesired people. In Hindi language there goes a saying – “Paapi Ka Maal Chandal Khaya” it means- “the Sinners Wealth is eaten by the Scoundrels”. In Kannada language there is a saying – “Kotiddu Tanage Bachitiddu Pararege” it means “What we give, it comes to us, what we hide goes to others”. Now, who is to tell this to those who want millions and billions; will they enjoy all that during their life time? Is life so long? That it could be enjoyed and finished. It is true; to live a good comfortable life in these modern times, lot of money is needed. Lot of money can be earned through proper means; there is no dearth of it. Why adopt illegal, short-cut dishonest means!!! ??? HOW MUCH DO YOU WANT!!! ??? 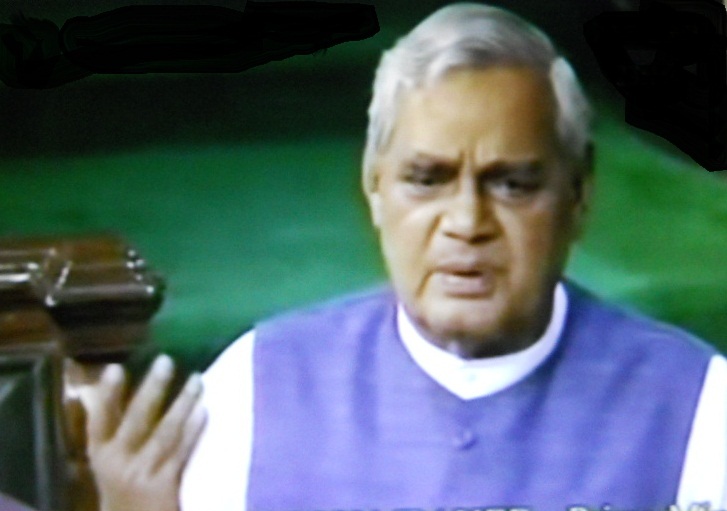 This entry was posted in Ponder and tagged Atal Behari Vajpayee. This world was meant to be an excellent place for all of us to live in and enjoy. Unfortunately, many people have turned it into an evil place for many. Their selfishness and greed will not allow them to think of others. They want everything for themselves, not caring that the others perish in misery. That explains why people accumulate so much money in banks here and there, build mansions they do not need, own strings of cars, and indulge in unnecessary luxury. What many people are still to learn is money by itself does not bring happiness. You may have a bed made of gold but that does not guarantee sound sleep at night, while someone who has no bed to lie on sleeps so soundly at night. If the world is so full of evil, it is because some people try to take everything for themselves and those who feel cheated, pushed to the wall are forced to fight for themselves. There is no justice in the world. The truth is without justice there can be no peace in the world. Without justice people must be running up and down fighting for their own share of the resources of the world. God created this world and provided it with enough resources to serve everybody. If these resources were evenly distributed everybody would be fine. If the strong refrain from exploiting the poor to grow richer while the poor grow poorer, the world would be a better place.Many of the rich people of the world live on the sweat of the poor and weak. While they do all the work and bring in the income, the financial benefits go to the powerful employers who do nothing but pocket their hands, walk around, play golf and go for picnics with their sweet hearts. The world is an unjust place; a jungle where there is survival of the fittest. Lots of people live on ill-gotten wealth which they either steal from state coffers for their personal benefit or they exploit others to accumulate. Something needs to be done to make the world what its creator meant it to be. The solution to all the world’s problems lies in education. Education is the key. We are what our education has made of us. If people are educated to be unscrupulous that is what they will be. And that is what unknowingly we do with our education. From birth until death we are continuously educated formally, informally, or non formally to think more of ourselves, to put our interest ahead of the common interest. We have to review the education that goes on in the world in homes, in classrooms, through the media, in social places. This is is mostly negative. The world needs to make a deliberate and determined effort to reverse it into positive education. All the billions that are invested every year in efforts to keep peace in the world, will serve better if used to re-educate the world; to build in us new patterns of thought and attitude that see good not evil in everybody we meet; that make us love not hate; that make us think of others not only ourselves; that make us think of the common good not our individual interest alone. If our greedy, selfish minds are re-educated, we will see no need to accumulate so much money we do not need when billions of people are perishing in misery all over the world. Really great engaging article. Enjoyed it immensely. Thanks for sharing Shiva. It’s such a wonderful post. I admire your thinking and urge to serve society by raising such important issues with your thought provoking posts. I want just enough money to not have to worry about stuff. And if I tried to get it by illegal means I would have to worry about stuff. Hi Shiva, I have posted The Starlight Blogger Award and here’s the link…thank you again for thinking of me! Very Well written, my Dear Shiva! Well written and touches on so many truths of the world. For some or should I say many like the ones I have mentioned it flows or should I say like a flood money comes and accumulates. Shiva, this is my (Tony that you just followed) alter-ego… I think you may relate to it!! Anyway, love this blog entry, thanks.